Unfold your beat-up road atlas, draw a line from Elvis Presley’s birthplace in Tupelo, Miss., to his grave in Memphis, Tenn., and you’ll find that the hamlet of Oxford—located in the heart of the North Mississippi hill country—provides the vertex necessary to complete an isosceles triangle. Elvis Costello might’ve done his geometry homework before he traveled to Oxford’s Sweet Tea recording studio, nestled between two points of Presleyana—but, evidently, the English songsmith had more than the Pythagorean Theorem on his mind when he headed south to cut The Delivery Man. When Declan McManus christened himself Elvis Costello, there was nothing arbitrary about how he settled on the name. From that day on, the Elvis myths—Costello and Presley—have remained hopelessly intertwined. EP left the building for good in mid-1977, just as EC was enjoying the success of his first album, My Aim Is True. Never mind that a few generations separate them: each man is an icon—and an iconoclast—who reinvented himself for the stage, sparking a cultural rebellion in the process. And, in Costello’s case, changed his musical persona again and again. Over the last 27 years, he’s been a New Waver, a rocker, a classicist, a Tin Pan Alley songwriter and a purveyor of soul, pop and country music. On his last three releases—capping off a catalog now 21 records strong—he’s sampled Broadway (with Burt Bacharach on Painted From Memory), returned to art rock (for the pretentiously acerbic When I Was Cruel) and delved into torch-song territory (last year’s North, a song cycle dedicated to paramour Diana Krall). 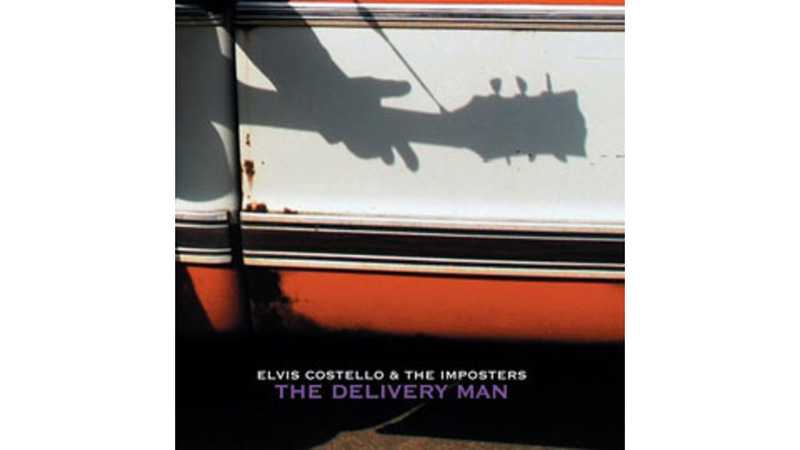 It’s enough to cause a person with Multiple Personality Disorder to break into a sweat—but The Delivery Man marks yet another departure, as Costello impulsively dives back into rock ’n’ roll. “Don’t wanna talk about the government / Don’t wanna talk about some incident,” Costello elucidates on “Button My Lip,” the album’s jazzy, disjointed opener. His point here—and throughout the album—is perfectly clear: This is a vacation, and I’m gonna do what I damn well please. Listening to the track, it’s easy to imagine a recalcitrant Costello sitting before a panel of record executives as they try to decipher the cacophony. His sheer obstinance appears to have won out. On “Country Darkness,” a pedal-steel-driven ballad harkening back to his 1981 effort, Almost Blue, Costello fares better, combining artistic integrity with a polished Nashville sound. He revisits “The Judgment,” a song he penned for R&B singer Solomon Burke, then joins Emmylou Harris for a faux Gram Parsons tune called “Heart Shaped Bruise” and an Appalachian-style tune called “The Scarlet Tide.” Staggered between full-on rockers like “Needle Time,” “There’s A Story In Your Voice” (featuring Lucinda Williams on accompanying vocals), and “Bedlam,” the softer material sounds excessively genteel—especially when keyboardist Steve Nieve and drummer Pete Thomas drop out of the mix. Halfway through the album, listeners hit pay dirt with the boozy, bluesy title track. Costello sounds fittingly raw on the song, which unwinds like a southern gothic nightmare, complete with smoking guns and kudzu vines. “In a certain light, he looked like Elvis / In a certain way, he seemed like Jesus,” Costello muses over Thomas’ stattaco drumbeat, mesmerizing himself with the quandary. The Delivery Man is a worthwhile endeavor, for that stolen moment alone.